Gunmetal style buckle with a matching color loop. Parallel stitch closing at the tip end. 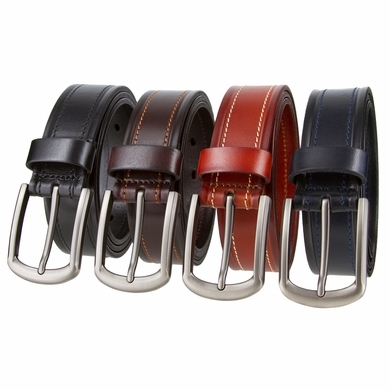 Comes in different sizes from 32 to 46 and in four different colors such as black, brown, navy and cognac.